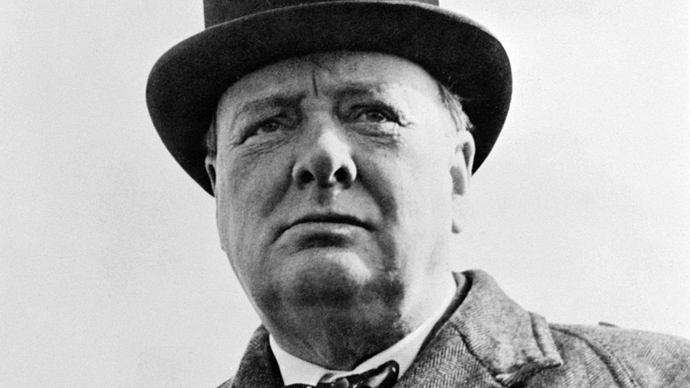 Britain commemorated 50 years since the death of wartime Prime Minister Winston Churchill on Friday. But how is the historic figure remembered? RT.com asked readers for their views. The former PM, best known for leading Britain through World War II, was the subject of commemorations in London and around the UK on Friday. Churchill soon began trending on Twitter, as users paid their tributes by tweeting famous quotes from the famous cigar-munching war leader. “If you're going through hell, keep on going – Winston Churchill,” one user said. Under the gaze of Churchill's statue in the Houses of Commons, Prime Minister David Cameron, who represents the Oxfordshire constituency where Churchill was born and buried, paid his respects. Describing Churchill as the “greatest ever statesman,” Cameron was joined by Labour’s Ed Miliband and Liberal Democrat leader Nick Clegg. “He believed that a nation was made great not just by its military might but by how its poorest and frailest citizens were treated,” said Cameron, calling this a “huge part” of Churchill’s legacy. @RTUKnews As a brutal racist extreme right wing wanker.
.@RTUKnews Churchill was a monster!! Created famines and starved millions of Indians to death. No difference between him and Hitter. “This is the same PM who was prepared to allow Nazis to invade Scotland,” the user added.